In 2005, I had the opportunity to see the movie three months early… On Joss Whedon’s birthday, in select cities… a sell out show in minutes. I couldn’t get tickets. I went on eBay… I paid A LOT for a ticket. I go to the theater, a drive to a different state…adding even more money to the ticket price I paid. Expensive parking. Whatever it took. I signed a giant banner that was going to be given to Joss. A giant thank you. A giant happy birthday message. In the theater, a friend on my left, a female I didn’t know on my right… It was a private screening. No trailers. But instead, a special video message… From Joss Whedon. A heartfelt thank you to the fans that wouldn’t let this show die. I cried at his opening. I cry every time I watch it before my own screening at home on DVD. I cried just now while writing it. The movie happens. I shake the entire way through. There’s a death in it that rattled the girl next to me, whom I didn’t know. She immediately grabbed my arm, and that startled me. But she needed that, and she was a girl touching me…so what the hey, right? Best screening ever, yeah? The movie ends. I walk out in complete silence. I was in love. I was devastated. I was…every feeling ever. The movie comes out in regular theaters. I pay to see it 14 more times in just one month. The DVD comes out. I bought 8 copies…and Blu-rays…and foreign copies to get exclusive packaging. Every year the fans organize a screening for Equality Now, a charity I support to help abused women, for which Joss is a spokesman. So I keep adding to my original 15 screenings each year. Then comics start to come out. More toys, shirts, games… It doesn’t stop. Over the past 11 years since the show aired, I’ve met Joss and six of his nine main cast members. 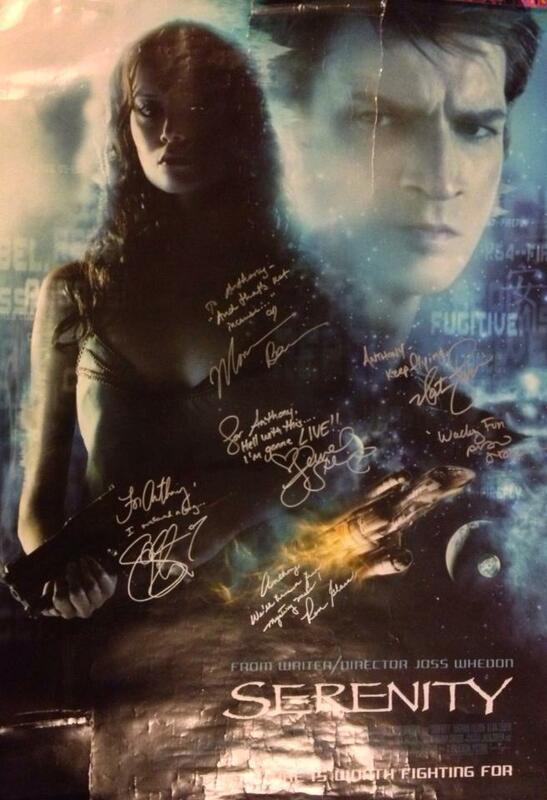 I have a Serenity poster filled with their signatures. 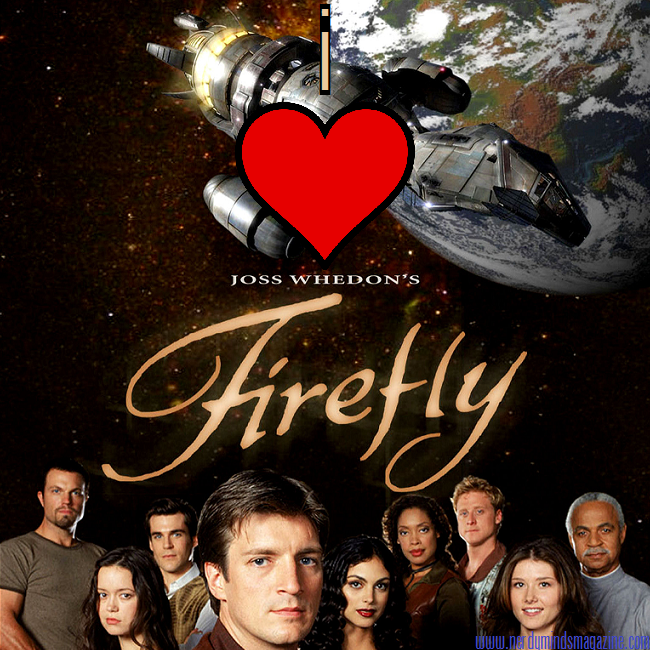 Last October, I kicked off a Firefly panel at a con with two of the stars…on the 11th anniversary of the show. I was responsible for the energy in that crowd that morning by getting them all to applaud. 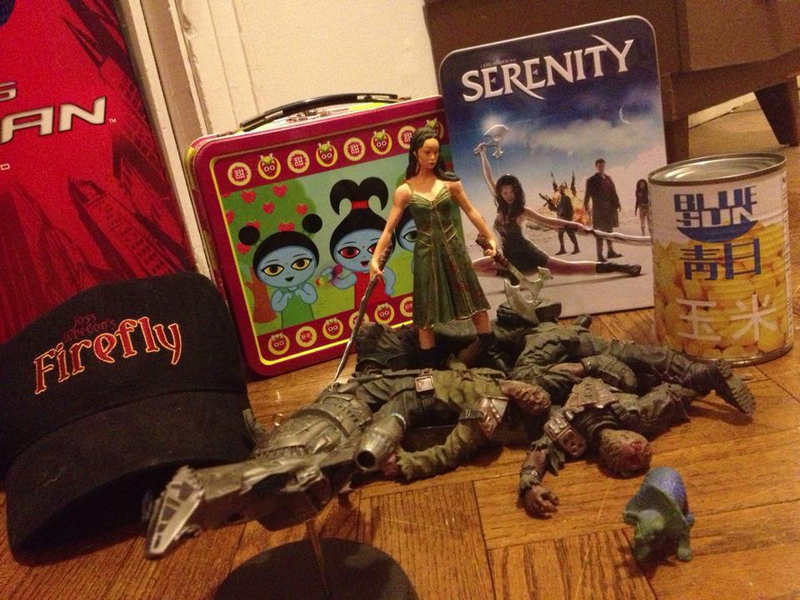 So after Serenity… Joss Whedon is announced as the writer and director of The Avengers. That’s a whole different post and early screening crying experience. I’ll talk about that a year from now as I ready myself for Avengers 2. Back to Serenity. Although the movie didn’t do well enough to make more, these characters lived on with comic book prequels, More stories that bridged the gap between the show and the movie. Two issues were then released that took place after the events of the movie. Then Joss and his brother Zack announced last fall that a direct sequel to the movie would happen in a six-issue comic book series. Wednesday, issue #1 was released (pictured above). 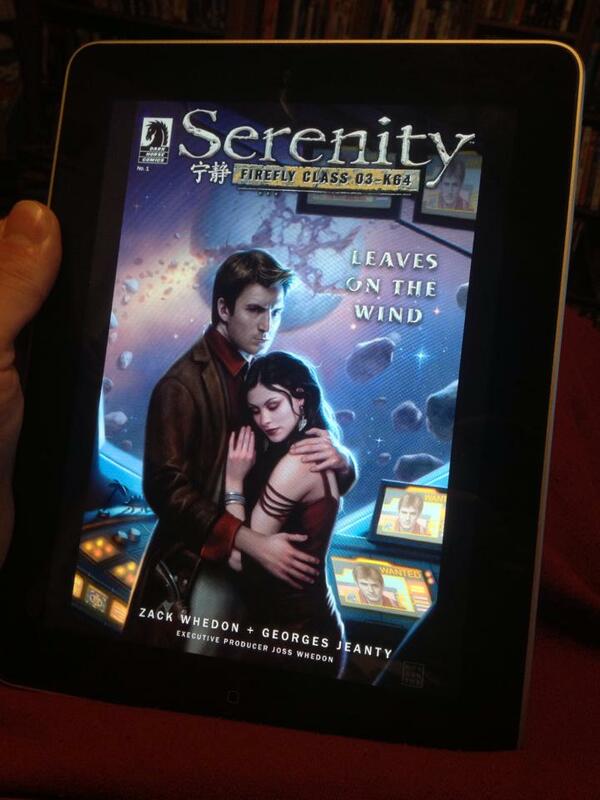 I couldn’t wait for my hard copies to arrive on Monday in the mail (I bought two), so I purchased it digitally, too. I got done reading it. I cried. Happy and sad tears. These characters are back. And the book is perfect in my eyes. 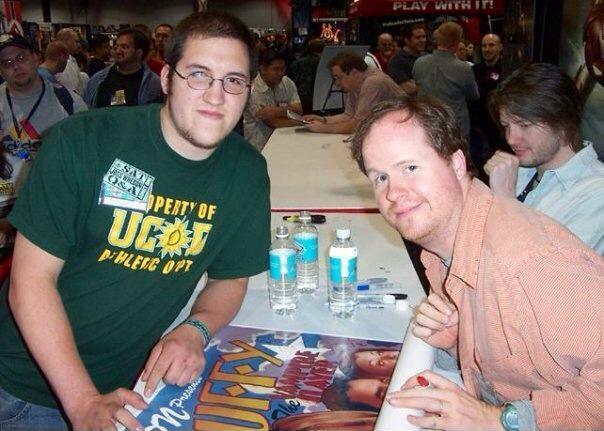 In 2004 when I met Joss face to face, I waited 9 hours in line wondering what I would say to him. 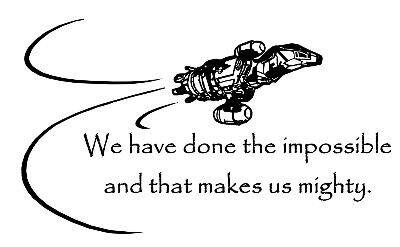 Remember, this is before Serenity, Avengers, Cabin in the Woods, Dollhouse, and Dr. Horrible’s Sing-Along Blog (my favorite piece of entertainment ever)… What could I say to explain what I just told you here? Stay tuned to Nerdy Minds on Facebook and @NerdyMindsMag on Twitter for even more nerdy news, deals, top 10s, reviews, and interviews (etc.) coming soon! You can even subscribe to have each new post delivered straight to your inbox; simply scroll to the bottom of the page (yes, all the way down) and opt in (it’s easy and totally worth it so you’ll never miss another post)! And we won’t totally hate it if you share/tweet/stumble/tumble/pin/post to Reddit (etc.) our stuff (it helps keep us on the web, so thank you in advance)! If you’d like to write something to have published on our site or if you’d like to see us cover something specific, you’re encouraged to take a quick look around to see if we’ve done it already…then contact us with your ideas! We’d love to hear from you! Lust for Love: Interview with Creator Anton King + Our Review of the New Film!